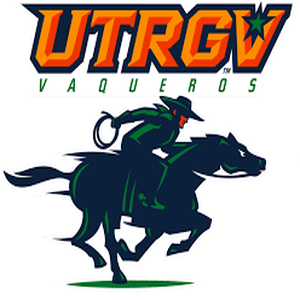 Sue Vodicka, who has been coaching since 1988, became an assistant coach with the UTRGV womens soccer program during the in June 2018. Vodicka has significant experience at the NCAA Division I level, including as the head coach at VCU in 1998, an assistant coach at Washington State from 1996-97, and an assistant coach at George Mason from 1999-02. She was also the head coach at USC Aiken from 2005-14, earning 2006 Peach Belt Conference Coach of the Year, and an assistant coach at William & Mary from 1993-95. During her time as a collegiate assistant coach, Vodicka has helped her teams to a 97-76-5 (.559) record, including a 44-19-1 (.695) mark in conference play. Most recently, Vodicka had been the head coach of the Shattuck St. Marys Centre of Excellence U15/U16 team in Minnesota, which is part of the United States Development Academy, since March 2015. She began her coaching career as the head coach at Centreville High School in Virginia in 1988. Vodicka competed as a basketball student-athlete for Albion College in 1981-82. She then transferred to Michigan to play for the club soccer team as the captain from 1982-83 before moving on to George Mason. Vodicka served as the captain of the 1983 squad that finished as the national runner-up before going on to win the NCAA Championship in 1985.